A Personalised gift makes something very special indeed. Make someone smile with our fun and beautiful range of personalised products from mugs to T-shirts. 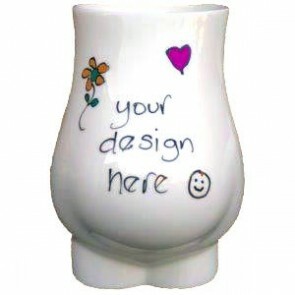 You can now personalise your very own MumStuff Big Bump Mug and make an extra special and thoughtful gift for mum to be. 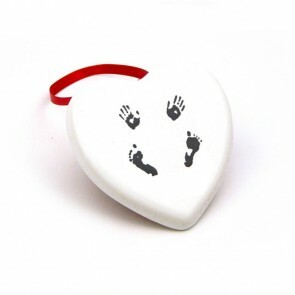 A great maternity leaving present for someone as lots of people could sign it or leave their own message. .
A Beautiful Bone china Heart exclusively created for Mumstuff and made in England.Featuring our signature "hands and feet" Image . 'Bump's First Christmas '2017' on one side and our very own hands & feet image on the other side Sweetly dispatched with a lovely gold card Cradle, Bow and Pen.